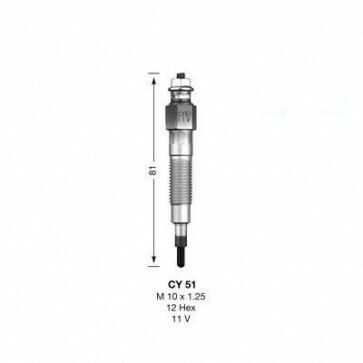 As opposed to a metal rod glow plug, the heating coil of a ceramic glow plug has an especially high melting point. It is also sheathed in silicon nitrite, an extremely rugged ceramic material. The combination of the heating coil and ceramic sheath enable higher temperatures and extremely short preheating times due to excellent thermal conductivity. 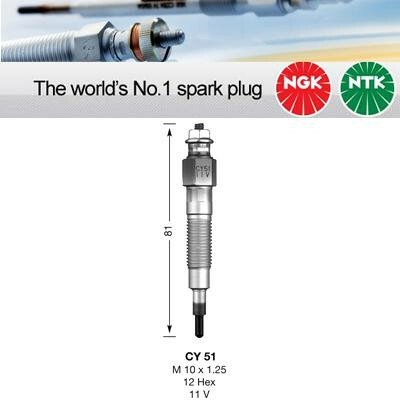 Also, ceramic glow plugs have a more compact design. This is important, because there is very little free space in todays engines.